This Clash Royale Chest Tracker application is a really super handful tool, which helps you track down your chest progress a lot easier. 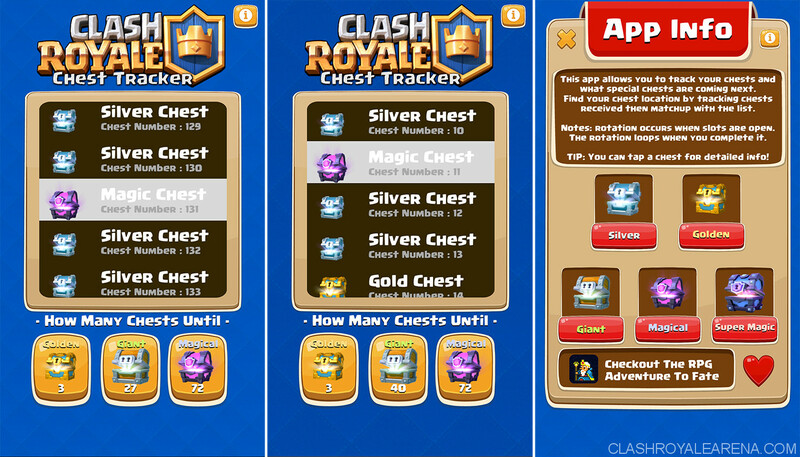 By using it, you can easily find exactly when you will get the next Magical, Super Magical or any other chest in the game. 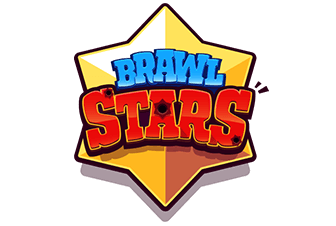 This application follows the chest drop order I posted before on ClashRoyaleArena, It also uses the shared data of the game on your computer to determine where you are in the chest cycle at the moment. This application doesn’t work If you haven’t signed into your game yet on the same device. Currently this app supports iOS only but I am giving you another perfect alternative for Android devices below! After downloading, you should be able to see it on your device homescreen, as the image above. As you can see, its interface is very friendly and easy-to-use. The chest list on the main screen shows you the chests you are going to get next. For example, as you can see in the screenshot above, I am going to get Silver Chest => Silver Chest => Silver Chest => Gold Chest =>… This list is scrollable so you can easily scroll down and observe the list of Chests. 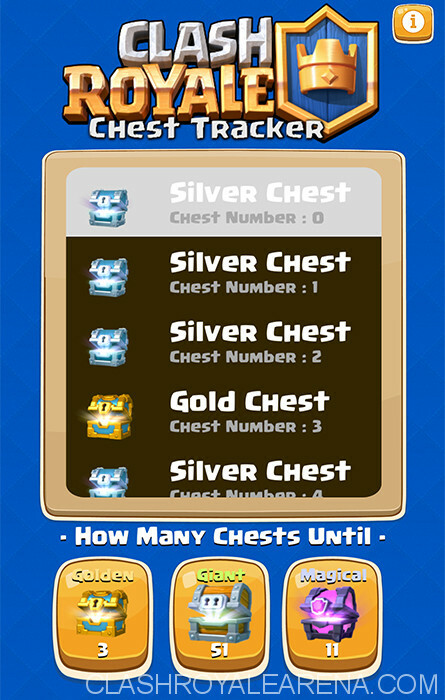 The “How Many Chests Until” section below shows you how many chests you need to unlock to get the Gold Chest, Giant Chest or Magical Chest. For example, in the screenshot above, I need to unlock 3 more chests to get the Gold chest, 11 more chests to get the Magical Chest and 51 more chests to get the Giant Chest. Since Epic Chest, Super Magical Chest and Legendary Chest drop randomly, there is no way to find out when exactly you will get them. If you are using Android, you can take a look at this one. A lot of Android users are using it as well. 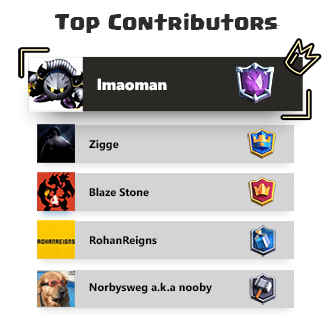 So, If you have any question, feel free to comment below and I will do my best to help you out. If you are already using this app, please give us your review!